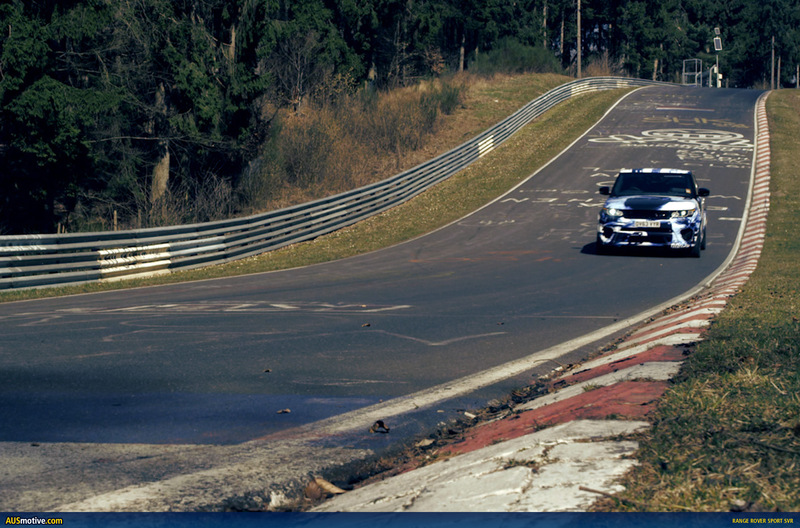 That’s how fast that Range Rover Sport SVR above was able to lap the 20.832km of the Nürburgring Nordschleife. That’s pretty quick for a truck. Actually, it’s pretty bloody quick for any vehicle. According to the unofficial list for unofficial production car lap times the Sport SVR has split the Mercedes-Benz C63 AMG (8:13) and the BMW 1 Series M Coupé (8:15) right down the middle. That’s some exalted company for a motoring monolith to be mixing with around the Ring. 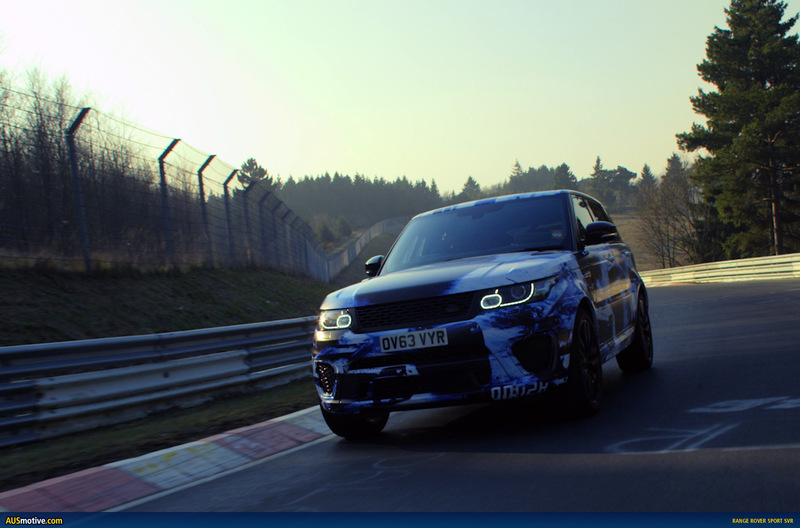 Of course, the secret lies, in part, in the SVR suffix which indicates this super SUV has 404kW (550PS) to play with from its fearsome sounding 5.0 litre supercharged V8. That’s an extra 29kW (50PS) more than the regular Range Rover Sport. The JLR Special Vehicle Operations boffins who found that extra power also beefed up the SVR’s suspension for flatter cornering. Although, importantly, “this has been achieved without compromising the vehicle’s class-leading all terrain capabilities or high levels of comfort”. Although, as the video below reveals, presumably they’re not referring to the oh so comfy racing buckets and roll cage fitted to this particular “production SUV”. 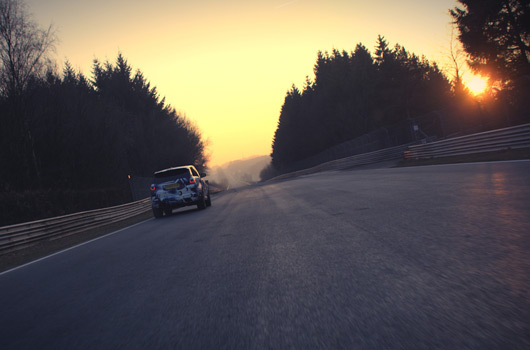 Still, a sub-8:30 SUV that sounds like a thunder storm, what’s not to like!